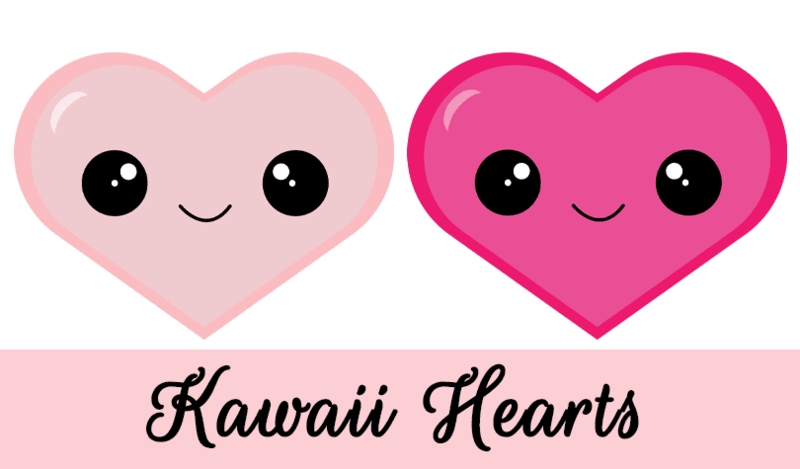 Anything kawaii is adorable, but kawaii hearts -- in my opinion :) -- have to be the sweetest. 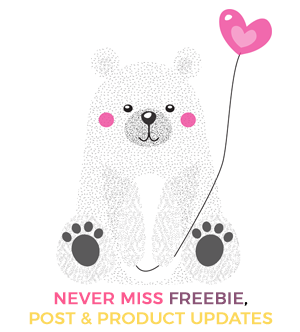 Welcome to Day 12 of the Valentine Clipart Freebies. These two cutie pies are going to be part of a set of Kawaii Hearts that I'm currently making. I'm a little worried they won't be finished in time for Valentines Day but I seem to be a last-minute type of gal with my clipart. 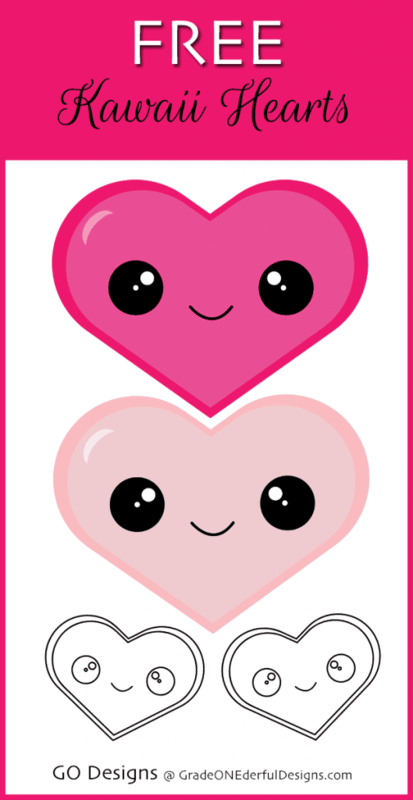 The hearts are 6 inches wide and are top quality vectors. I'm very picky about little details and always spend a lot of time on whatever I'm making. Too much time, really, but at least I'm having fun! When you download these freebies you'll receive 3 png files: The two hearts above plus a black and white version. TOU's: You're very welcome to use the hearts on teacher products as long as you give me full credit. If you DO grab the hearts, please either leave a comment or share them. 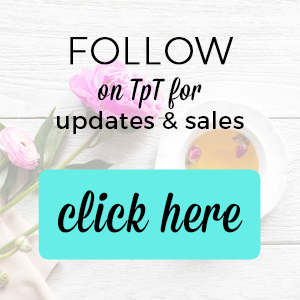 I'm trying to grow my little business and sharing my blog posts would really help. So thank you, in advance! Be sure to check in tomorrow for some more goodies! See ALL the VALENTINE clipart freebies HERE!